3 Beds 2.00 Baths 168,500 Sq. ft. Description: Fully renovated. Complete upgrades throughout. This home features hardwood floors, upgraded stainless steel appliances, soft closed cabinets, pull-out drawer pantry and corner cabinets. 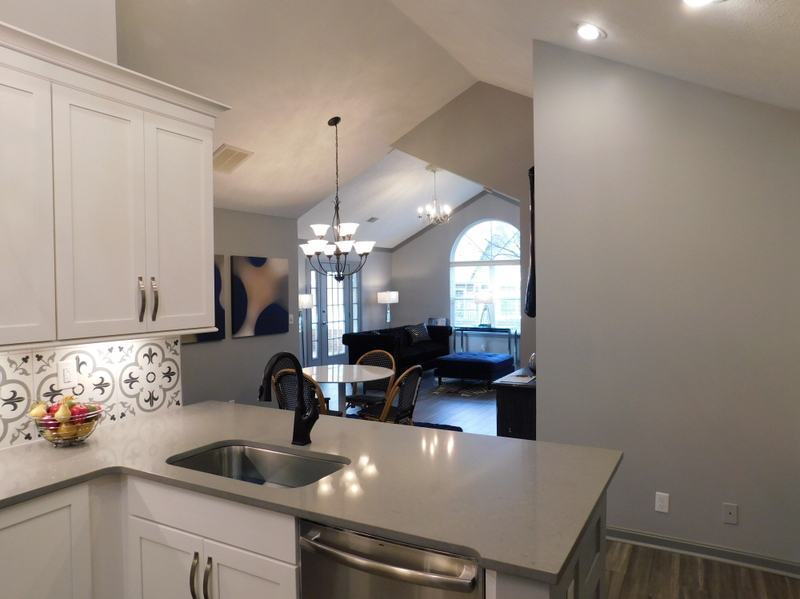 The home has contemporary grey paint finishes with a traditional flair and accent tiles. Desirable spacious single level open-floor plan with cathedral ceilings. This home has in unit laundry room, 2 car attached garage, en-suite master bathroom with double vanity and walk in closet. In addition, this home has an enclosed florida room that provides an enjoyable indoor outdoor living space . Highly sought after charming community with a clubhouse, a pool and a fitness room. Close to everything.